Consider this table of values of and . Notice that for every increase of in the the increases by . 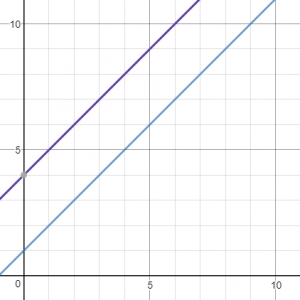 This constant difference shows that there is a linear relationship between and . 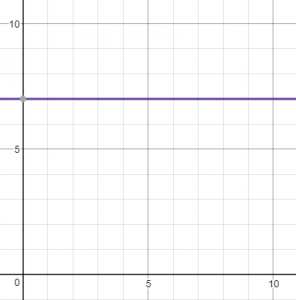 If we plot the values on the axes we get the straight line in the graph above. The gradient of the line is . 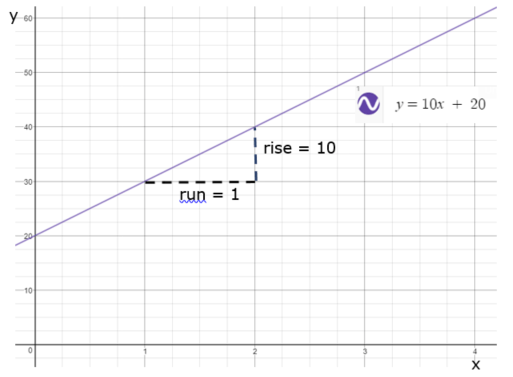 The gradient of any line can be calculated using the formula rise over run (either by reading off the graph or using any two coordinates from the table). Where is the gradient of the line and is the intercept (i.e. where the line crosses the axis). This form is handy for sketching a line and for reading off the gradient. Note that sometimes we need to rearrange an equation into the form . The line will cut the axis at with a gradient of . 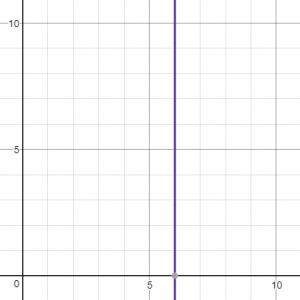 Use the desmos online calculator to draw different straight lines to understand the relationship between the equation and the graph. The gradient of parallel lines are equal. 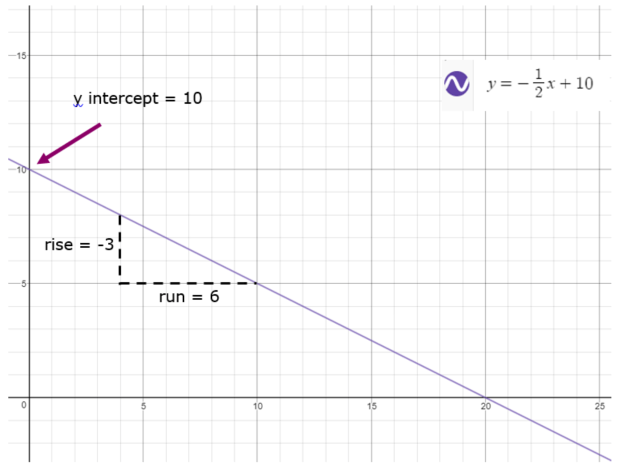 Kahn academy uses video to explain another worked example of drawing a line with slope and intercept and a set of practice problems that you can use to review your understanding.